WJTPB's objective is to promote West Java as an outstanding tourist destination. We aim to showcase West Java's unique wonders, attractions and cultures; develop domestic tourism and enhance West Java's share of the market for meetings, incentives, conventions and exhibitions (MICE). Our ultimate goal is to increase the number of foreign tourists to West Java, extend the average length of their stay and so increase West Java's tourism revenue. The West Java Tourism Promotion Board (WJTPB) was established on 6 October 2011 as a partner agency in the provincial government to promote tourism. The tourism promotion agency is a private entity. The WJTPB’s task is to help West Java provincial government to improve the image of West Java tourism and increase the number of tourists visiting both from domestic and foreign countries. The agency also raised funds from various parties, as well as conduct research to develop business and tourism businesses. 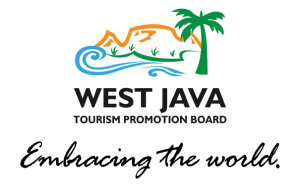 The West Java Tourism Promotion Board (WJTPB) is a corporate body attached to the West Java Department of Tourism. It is tasked to formulate and implement an integrated domestic and international promotions and marketing program for West Java tourism. The WJTPB is responsible for marketing and promoting West Java domestically and internationally as a major global tourism destination. Specifically, it shall market West Java as a major convention destination in Indonesia, taking charge of attracting, promoting, facilitating, and servicing large-scale events, international fairs and conventions, congresses, sports competitions, expositions and the like. Husein Abdurrahman, Herman Rukmanadi, Herman Muchtar, Uyun Achdiat, Popy Ruaidah, Ina Herlina Koswara.